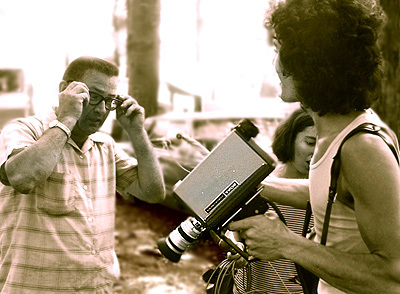 a deal ($$) to use his camera equipment on the following day. 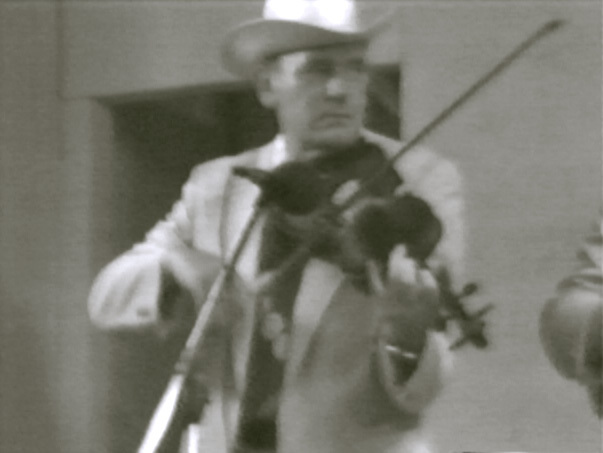 and the Ralph Stanley & the Clinch Mt. 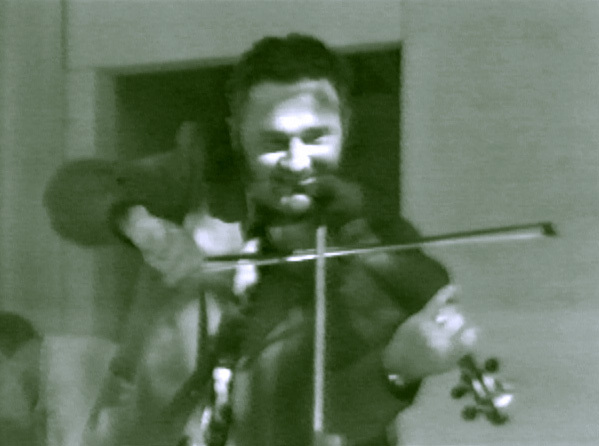 Boys shows. 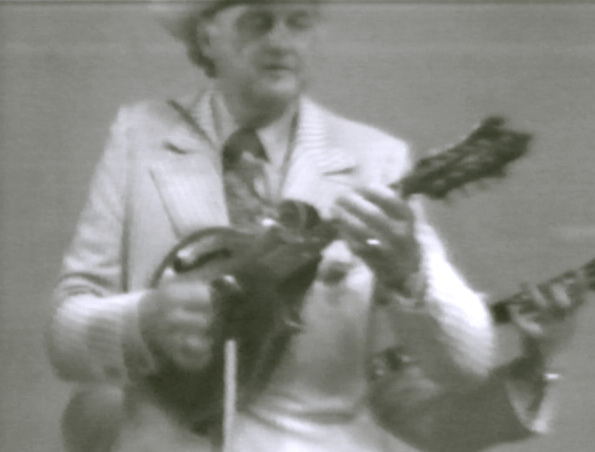 and keep people out of the way of the camera. 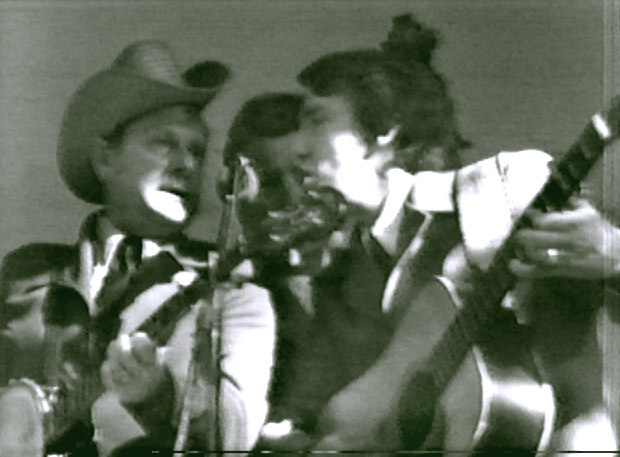 Left to Right: Kenny Baker, Bob Black. 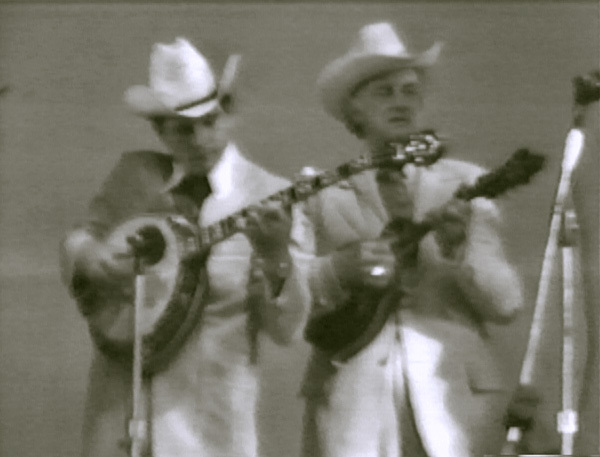 Left to Right: Kenny Baker, Bob Black, Bill Monroe. 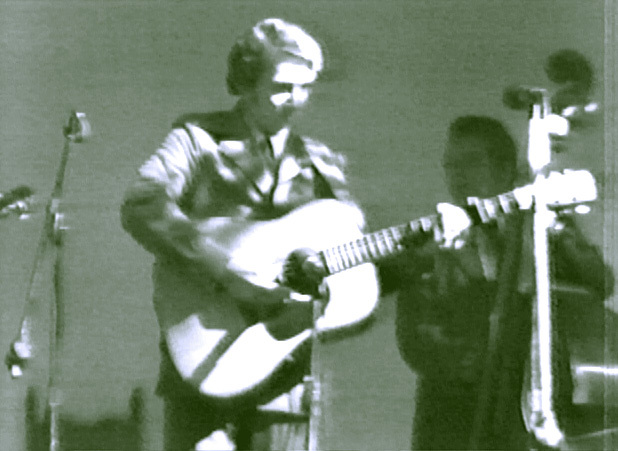 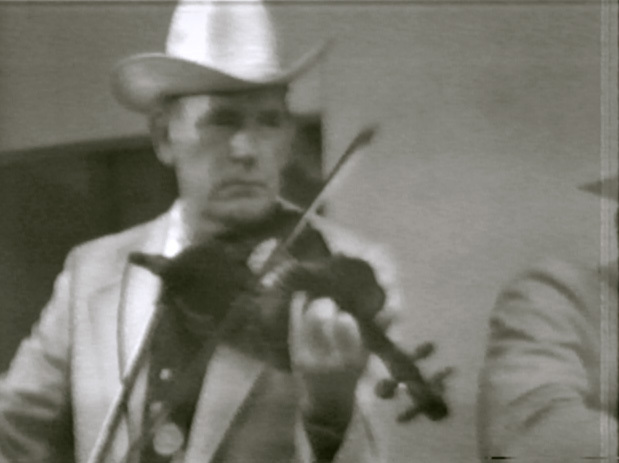 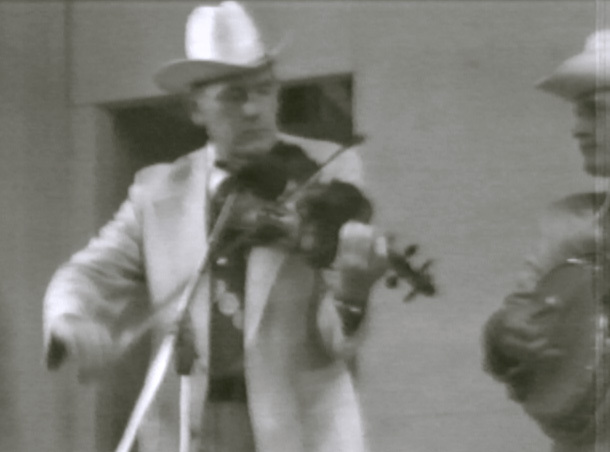 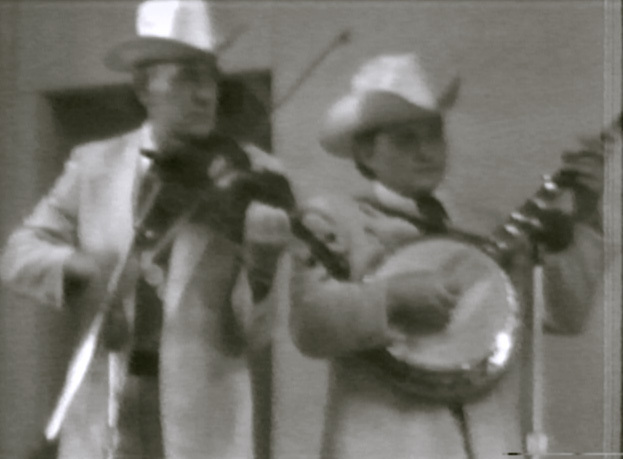 Left to Right: Bob Black, Bill Monroe. 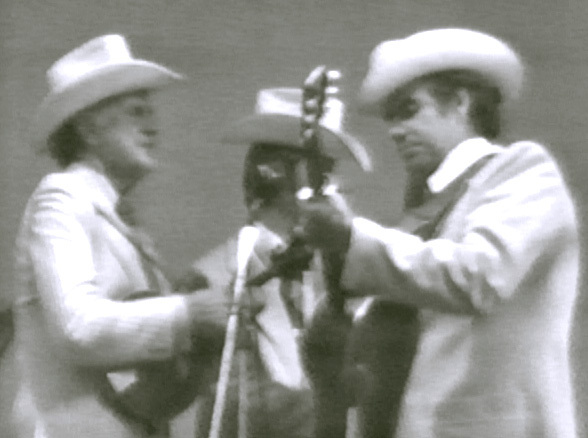 Left to Right: Bill Monroe, Randy Davis, Ralph Lewis. 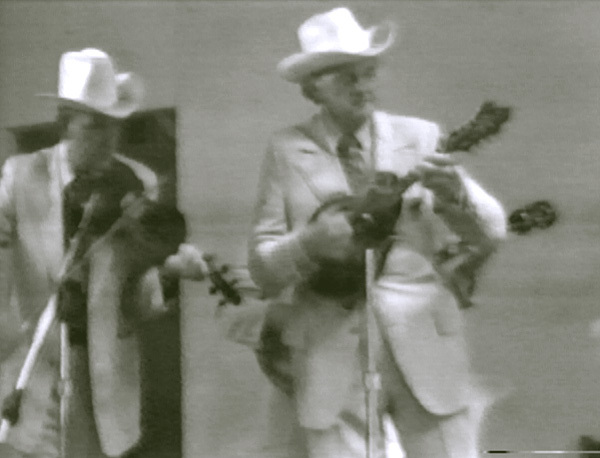 Left to Right: Bill Monroe, Bob Black hidden. 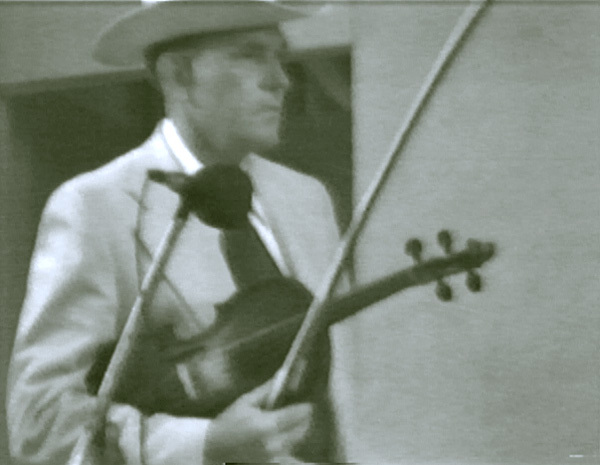 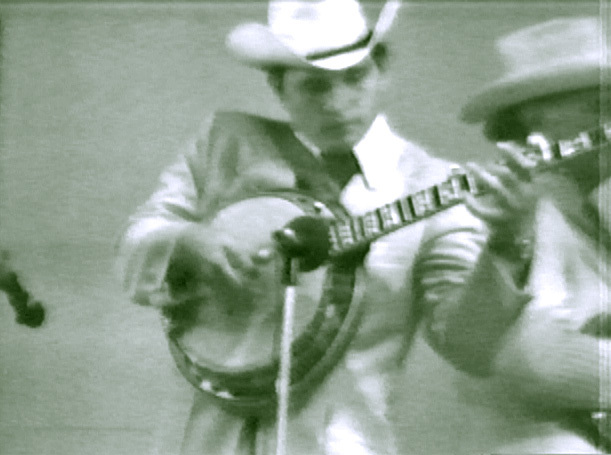 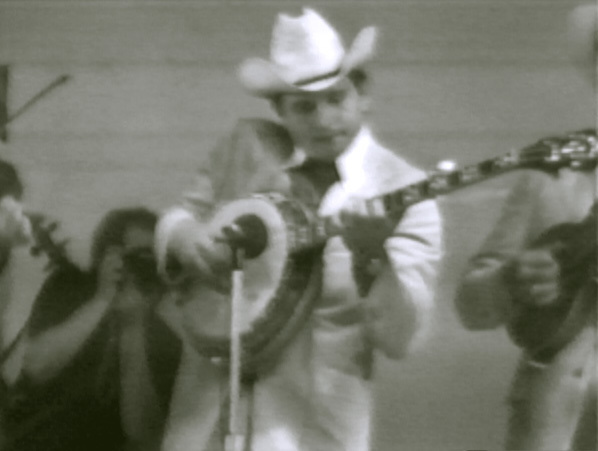 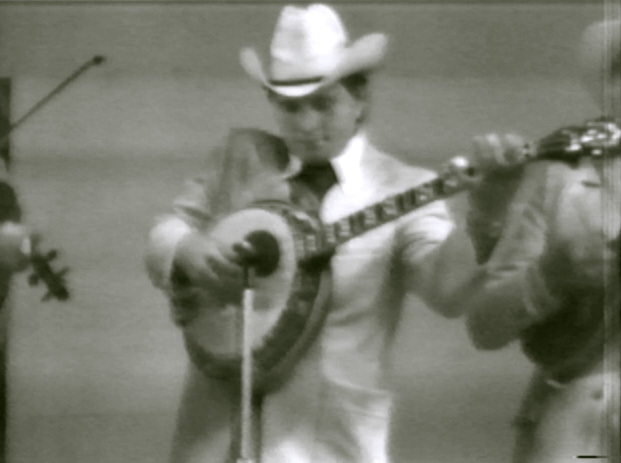 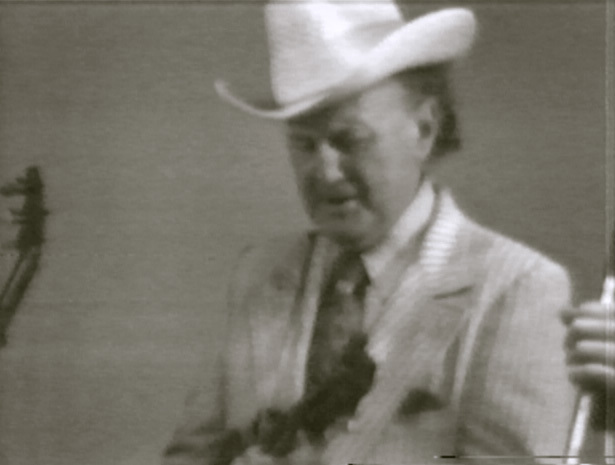 11) Bill Monroe and the Bluegrass Boys, Bean Blossom 1975 ( Filmed by Jim Moss 1975 ) Center: Bill Monroe. 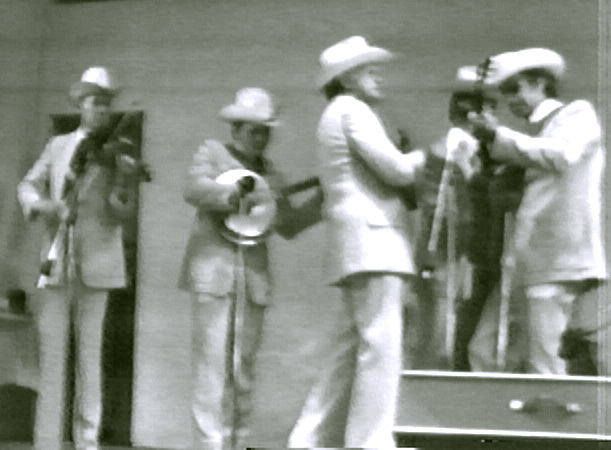 Left to Right: Kenny Baker, Bob Black, Bill Monroe, Randy Davis, Ralph Lewis. 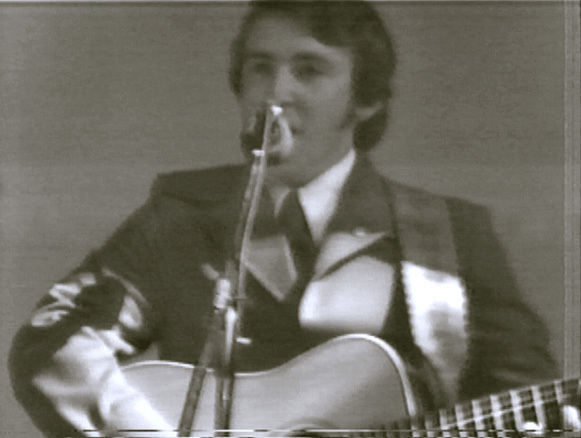 Left to Right: Keith Whitley, Jack Cook. 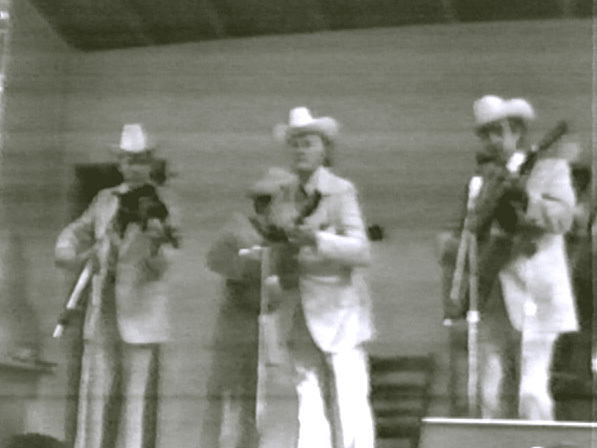 Left to Right: Ralph Stanley, Jack Cook, Keith Whitley.